World Wide Wingsuit News: Attack the crack! Jokke Summer posted a new video on his YouTube account. 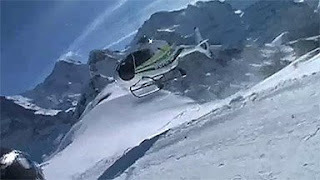 Its a video of a wingsuit jump with BASE gear, on Dominik Loyen and himself doing a (close) pass on a mountain restaurant and ski-risort.